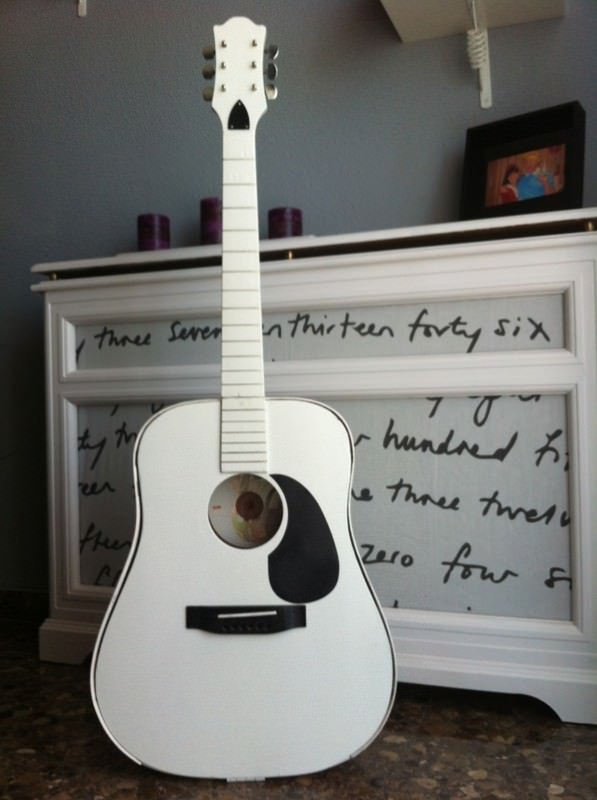 Guitar, whether electric or acoustic is one of the coolest musical instruments ever! 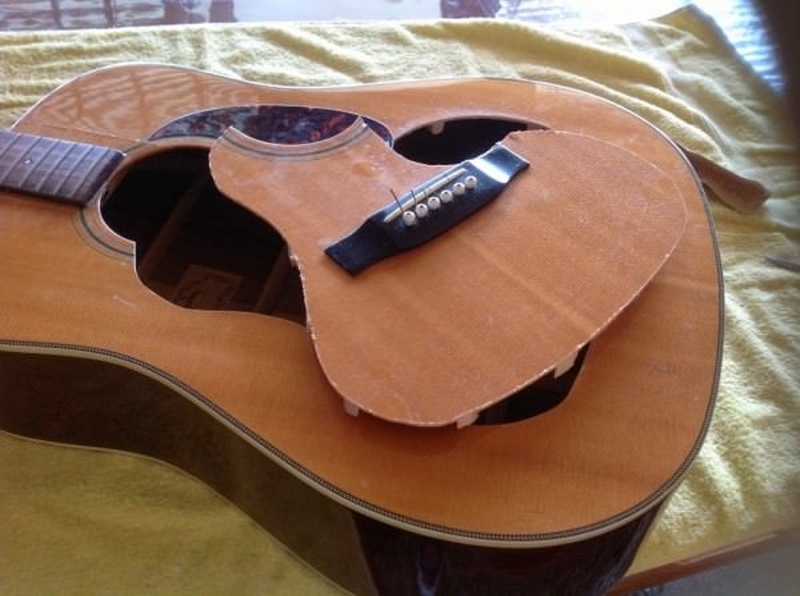 But, when your beloved guitar turn old or gets broken and you want to throw it away because it is of no use, just change your plan. 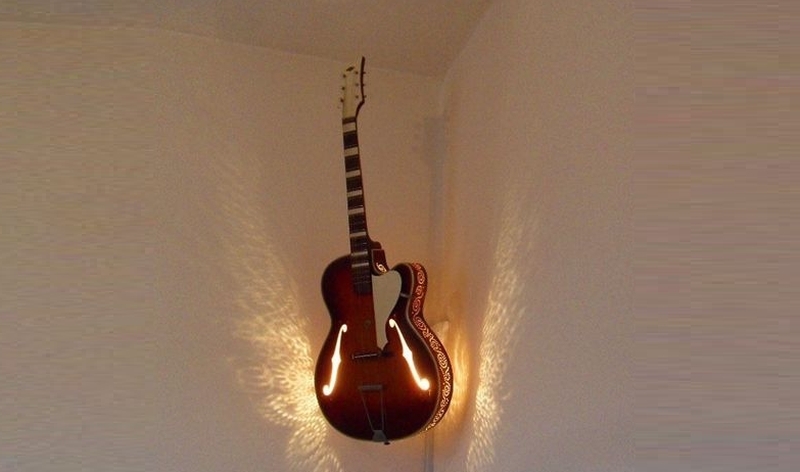 There are ways to rock your broken or old guitar. 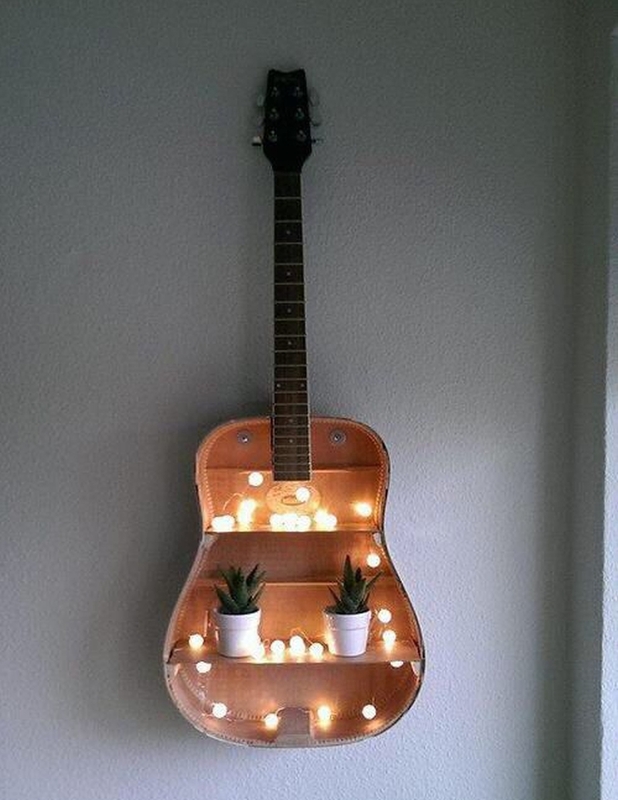 You just need a creative mind to transform it into something beautiful, and you won’t have to part with your rock-n-roll partner, ever. 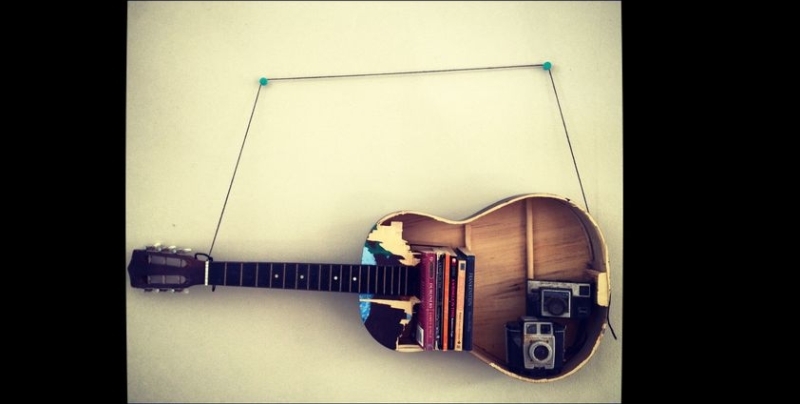 If that sounds like rocket science to you, scroll down for some awesome ideas which will help you to recycle your old guitar into something we call awe-inspiring. 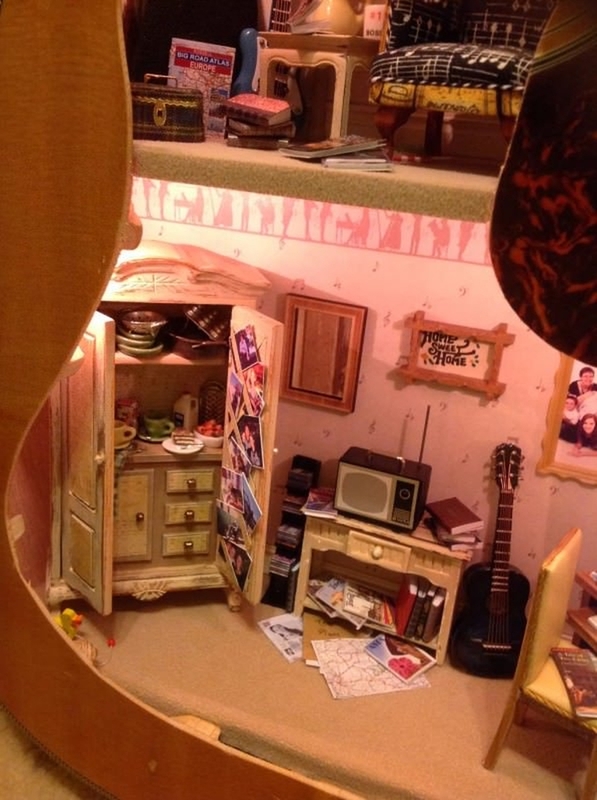 #1 An old guitar turned into a beautiful dollhouse with a lot of detailing. 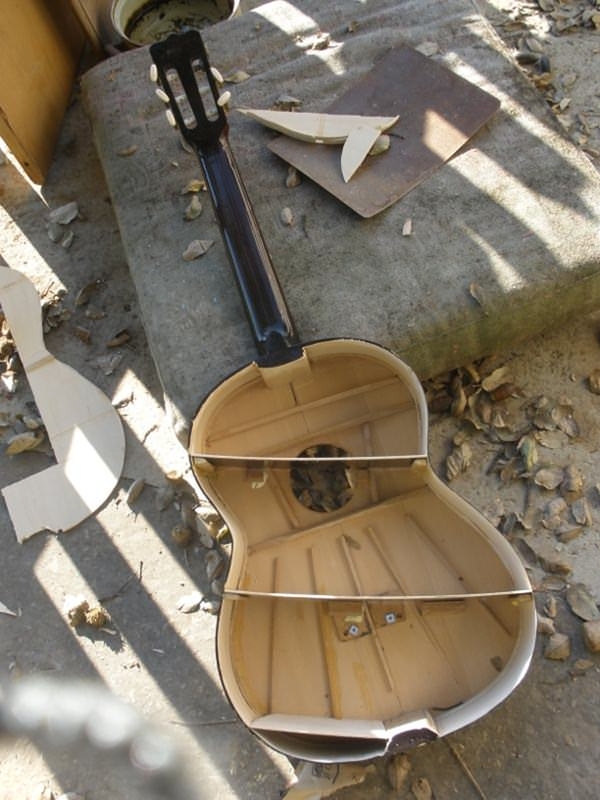 This is what it looks like after recycling. 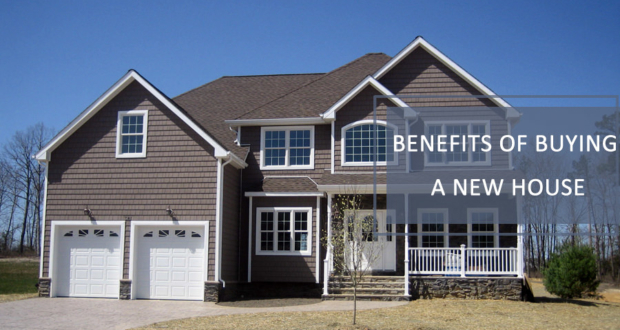 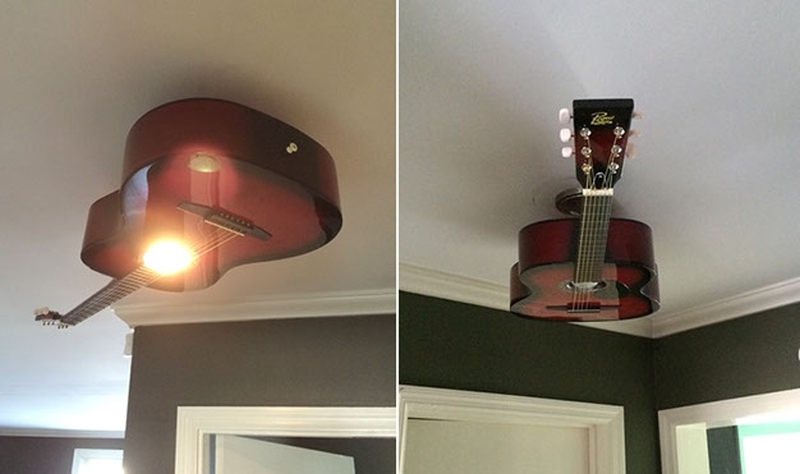 Cool idea, isn’t it? 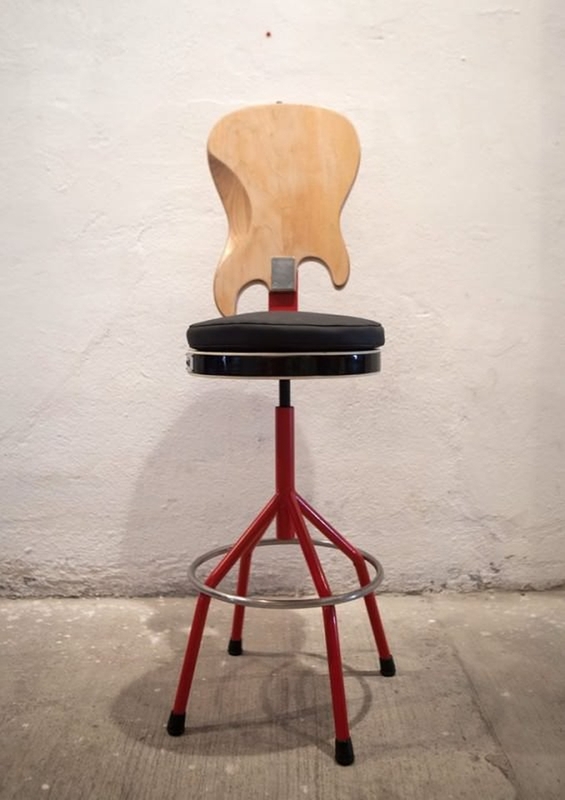 #2 Guitar chair back is an amazing idea to re-purpose your broken guitar. 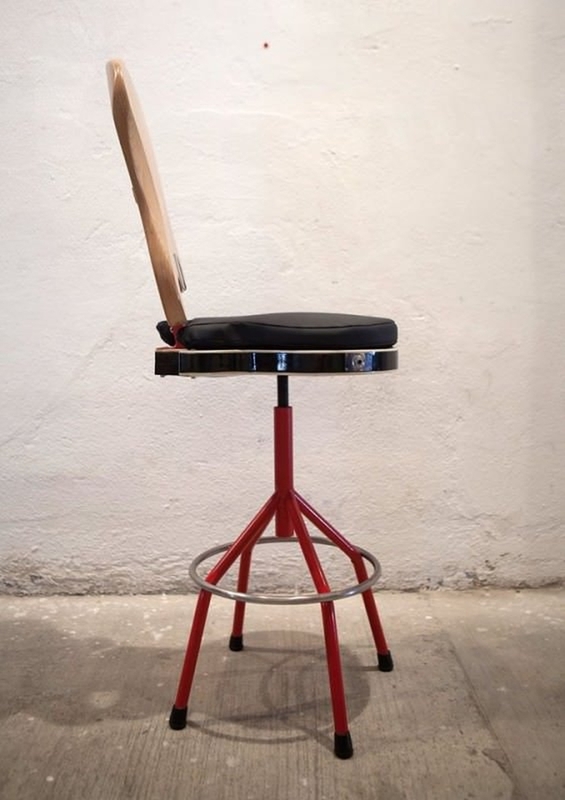 The awesome chair is made by Pablo and Xan of De Bigot Enrotllat. 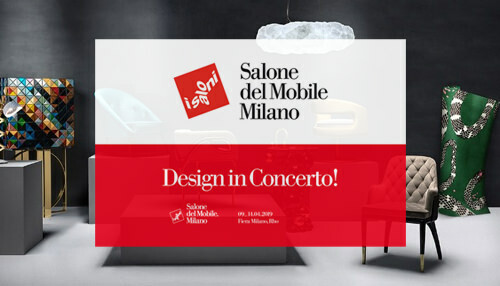 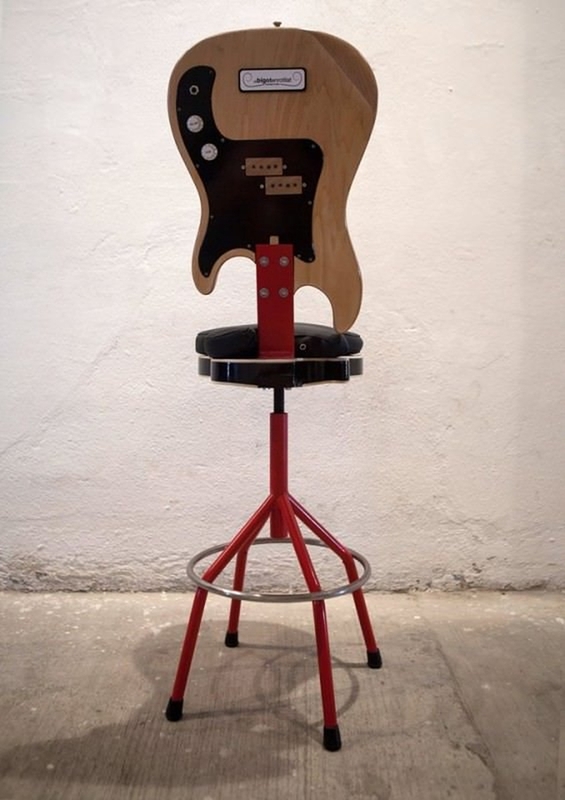 They found it in the trash and turned it into musical furniture. 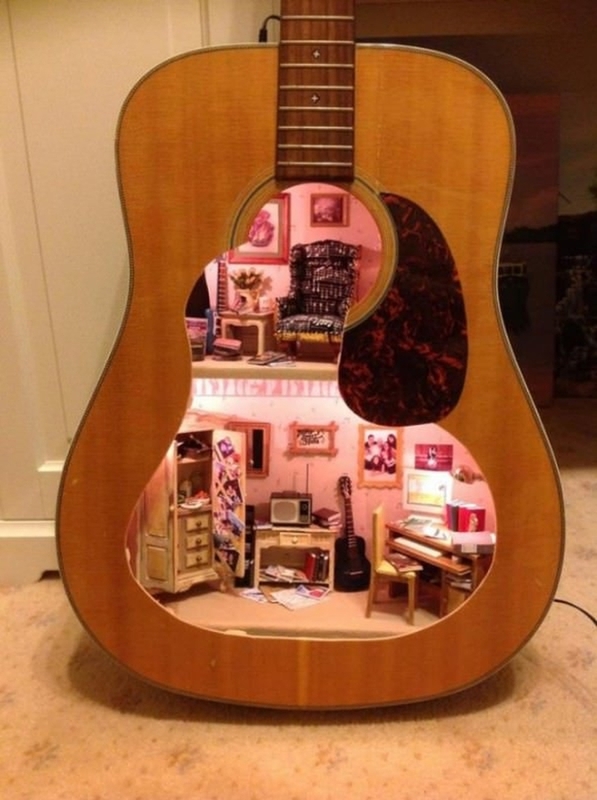 Amazing, don’t you think? 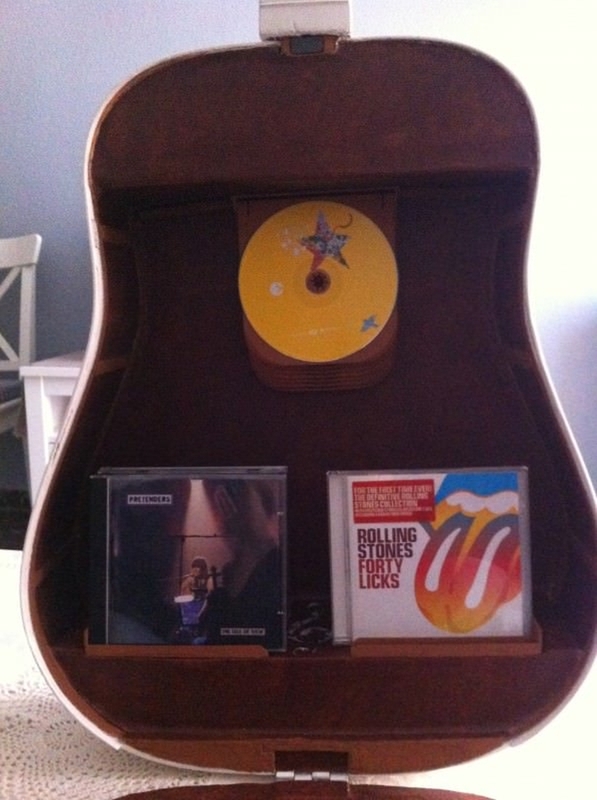 #3 When your guitar gets old, turn it into a CD shelf like this one. 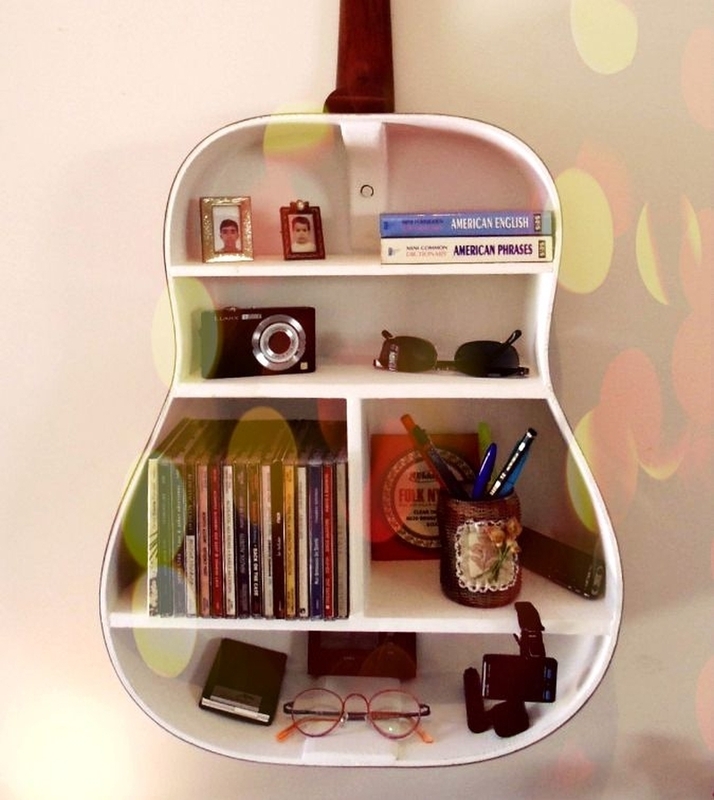 It can also be a great gift for people who love music. 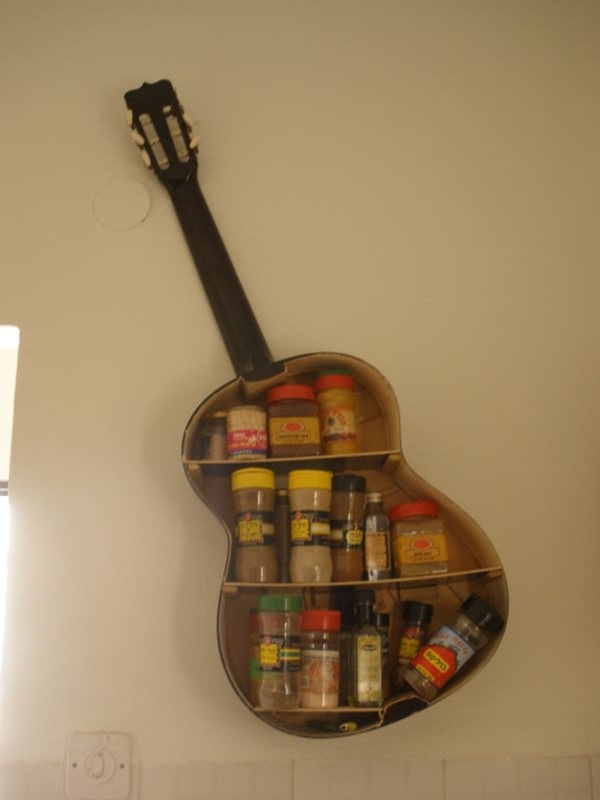 #4 This amazing guitar kitchen shelf is made of two things – one is the guitar and the other is carpenter glue. 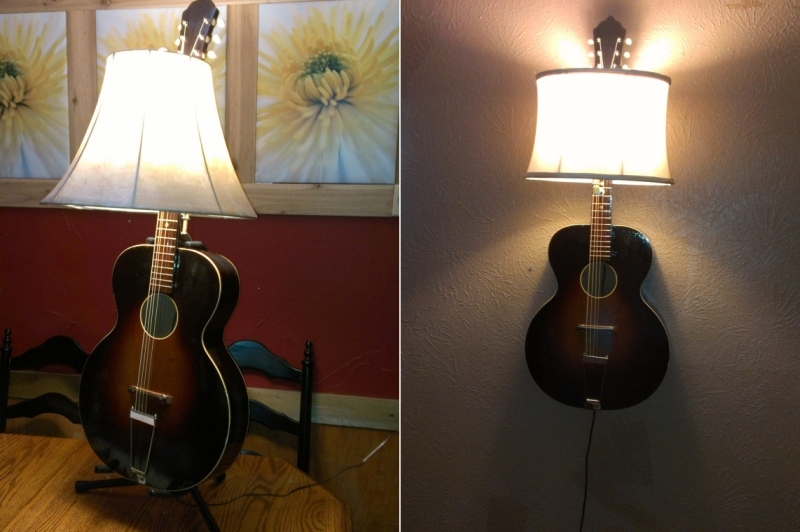 Pretty easy to make and it solves a purpose. 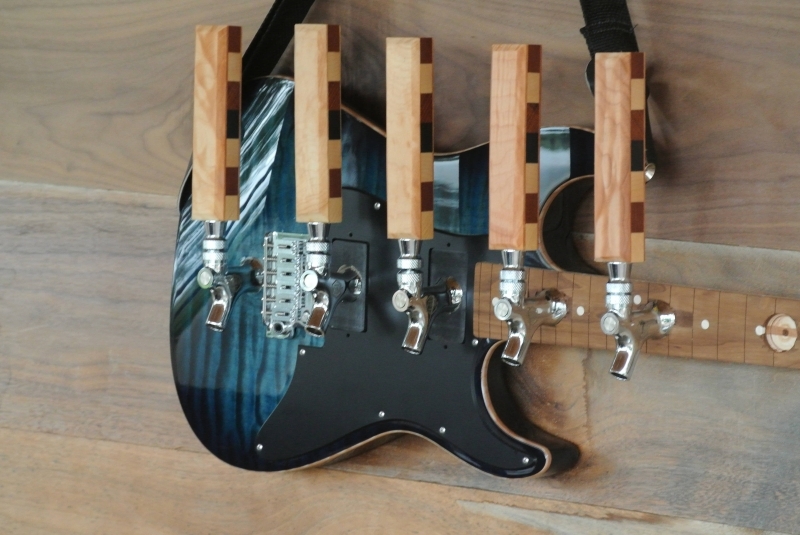 #5 This unique custom beer tap handle is made from an electric guitar. 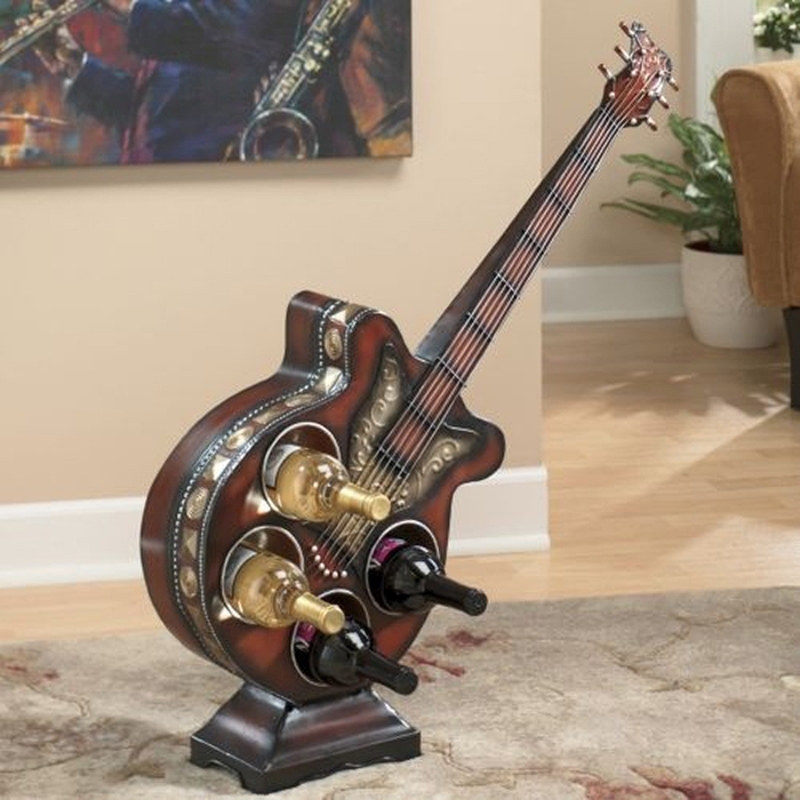 It has a nice compact size of 1.25″ x 1″ x 6″ and fits all standard beer faucets. 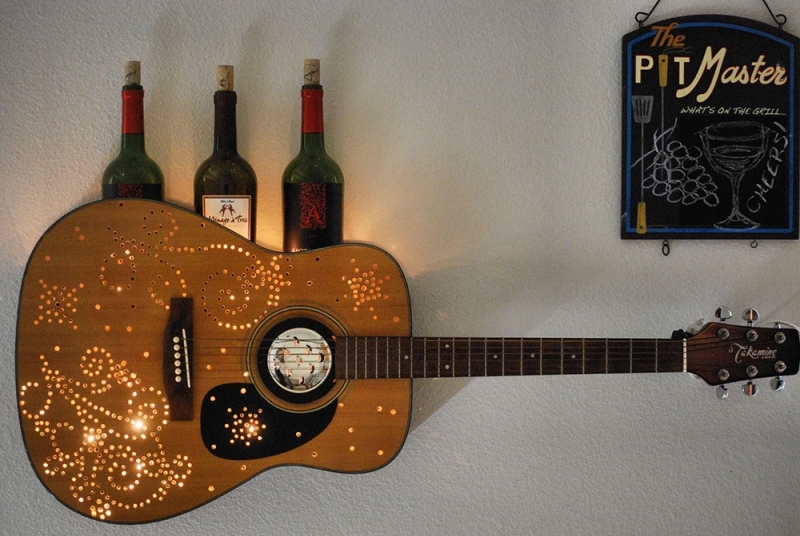 #6 Guitar, wine, and sunset – a romantic combination but in a different way. 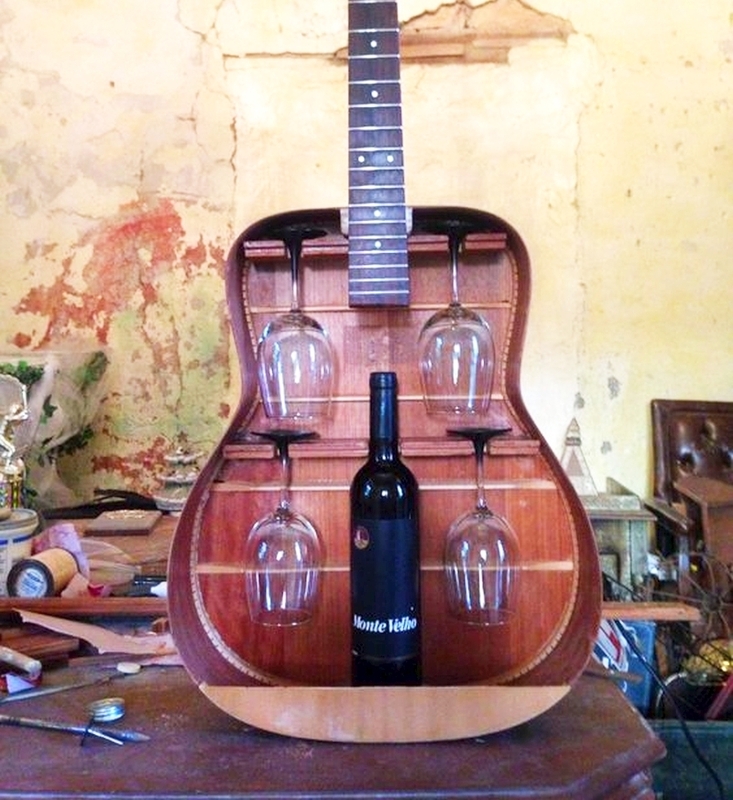 These old acoustic guitars are repurposed into beautiful wine racks to display your expensive wine collection. 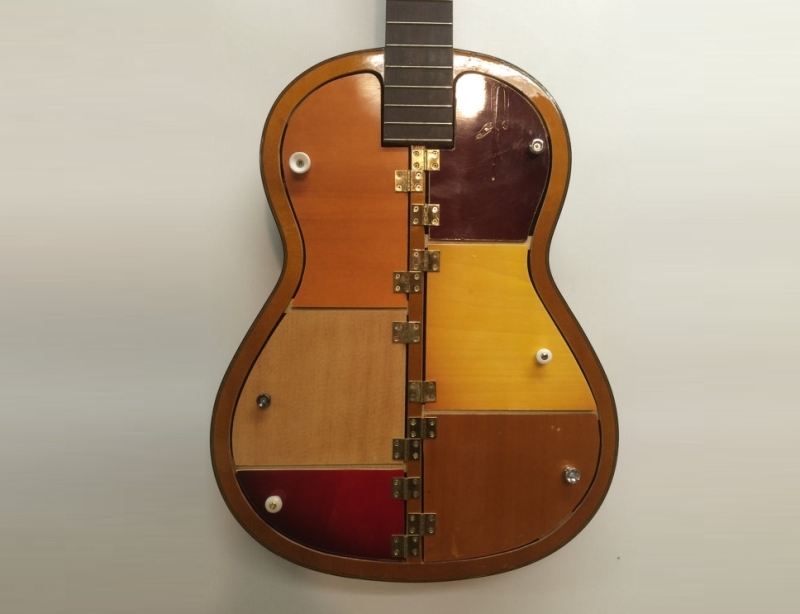 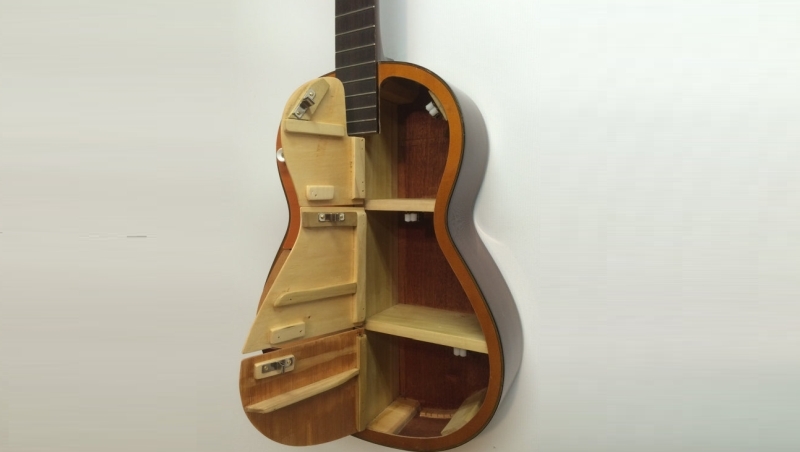 #7 This wall-mounted cabinet is made using an old acoustic guitar with six small compartment doors that are made from leftover wood panels of other guitars. 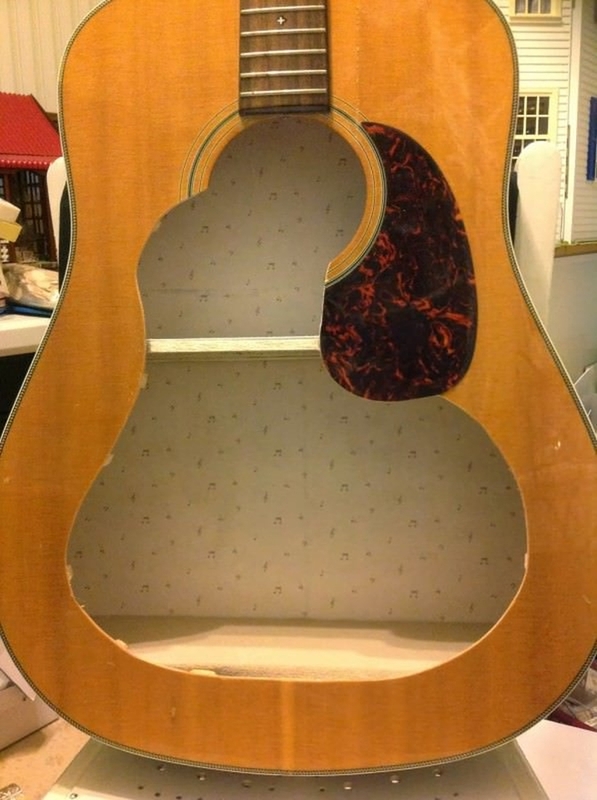 The assorted knobs supporting the guitar strap are used to open/close compartment doors. 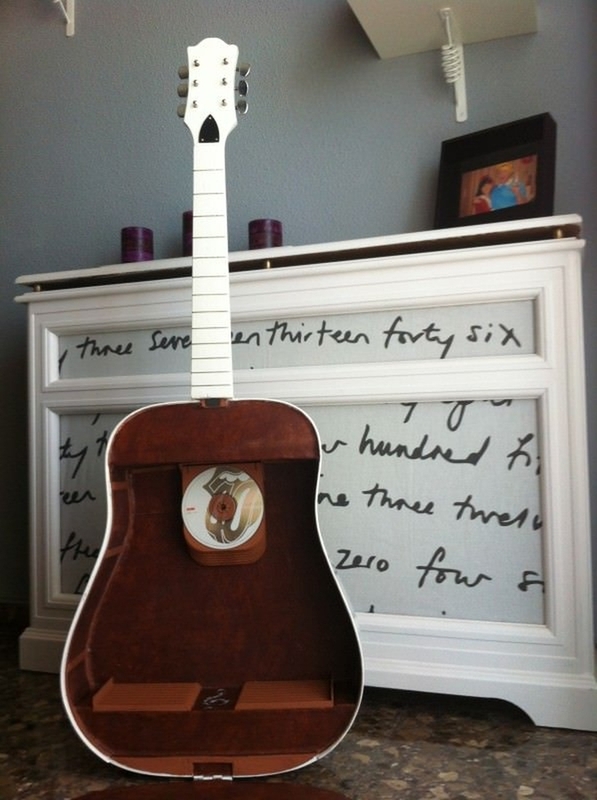 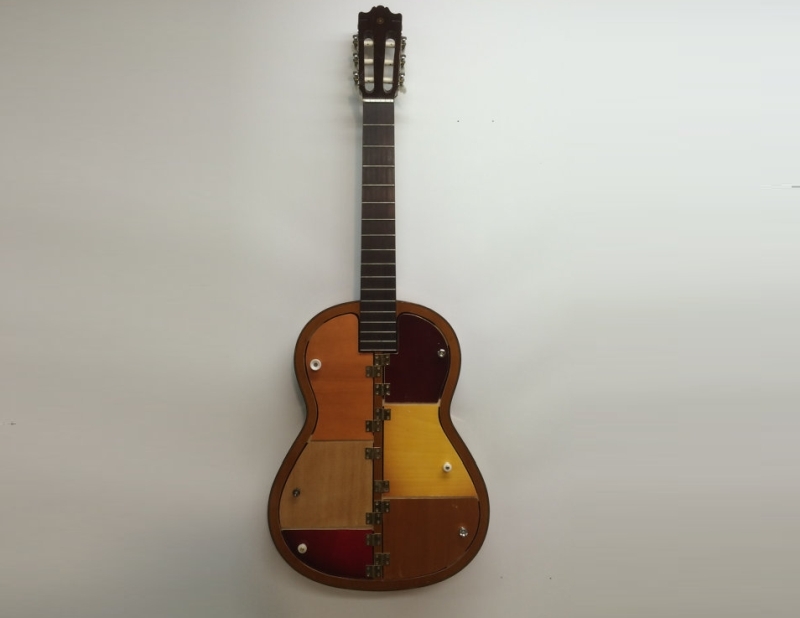 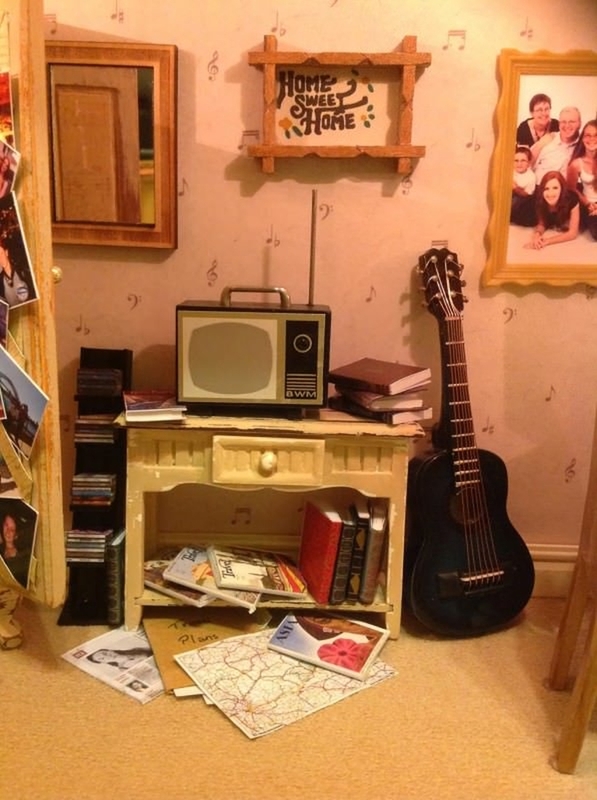 #8 Guitar bookshelf – a great way to recycle an old acoustic guitar. 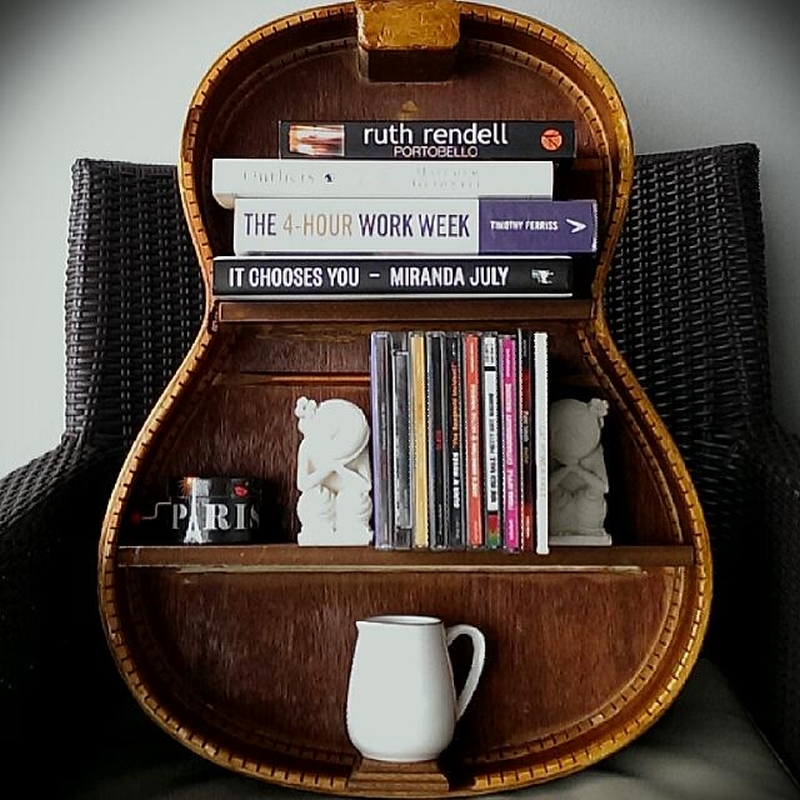 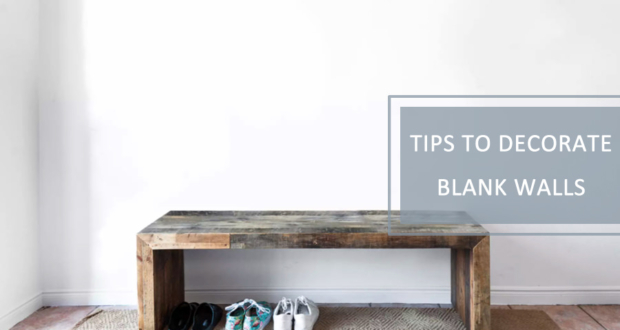 The beautiful DIY shelf can hold your books in style and it won’t take much time to make one. 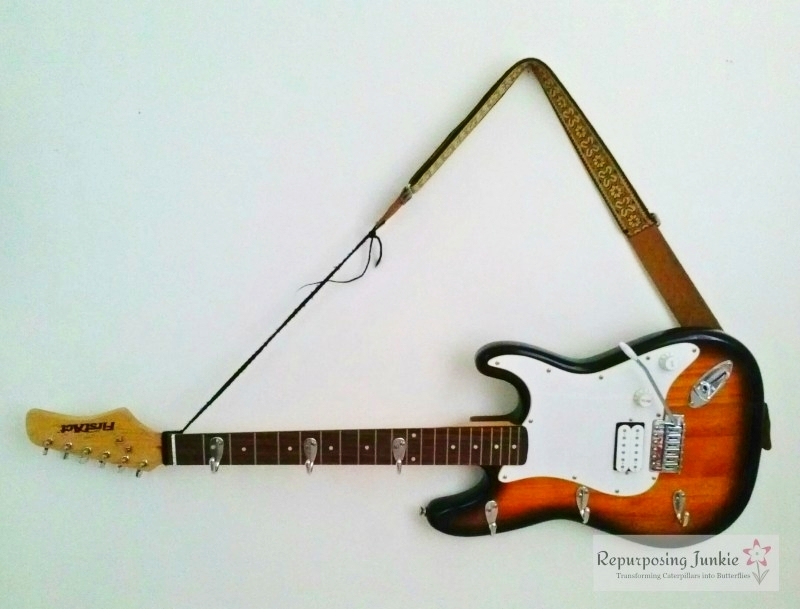 #9 How about a coat hanger made of a guitar? 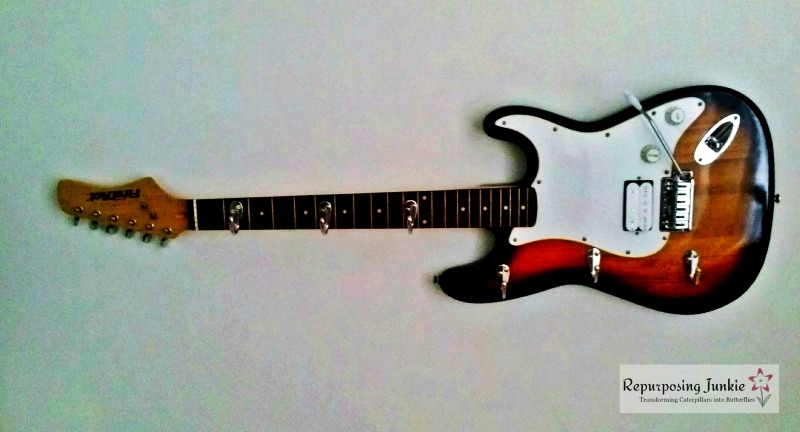 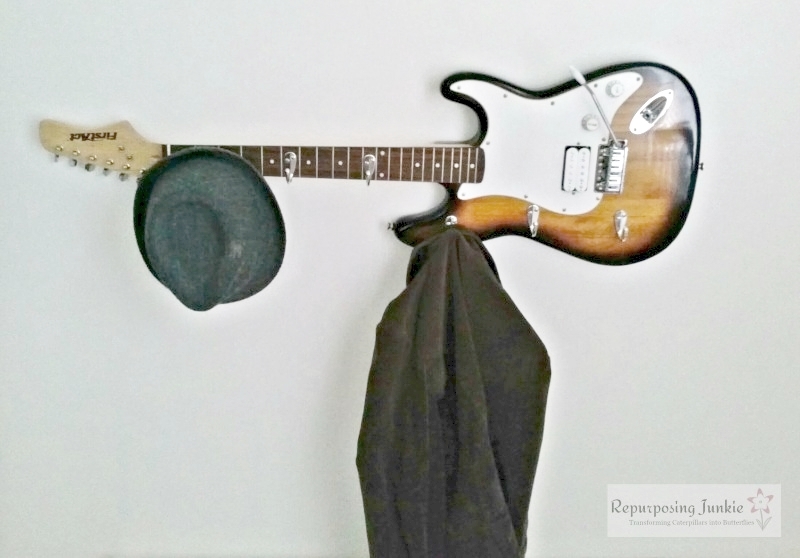 This coat hanger is made from electric guitar by Keri. 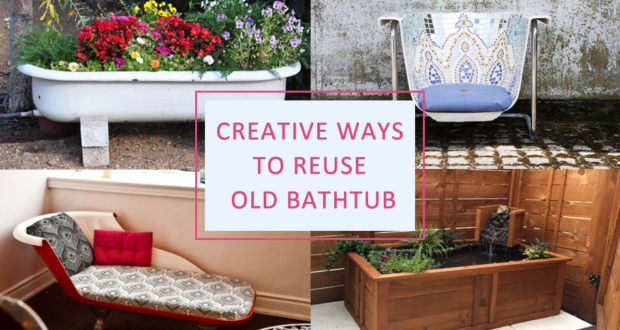 She loves to give new life to things which we consider junk. 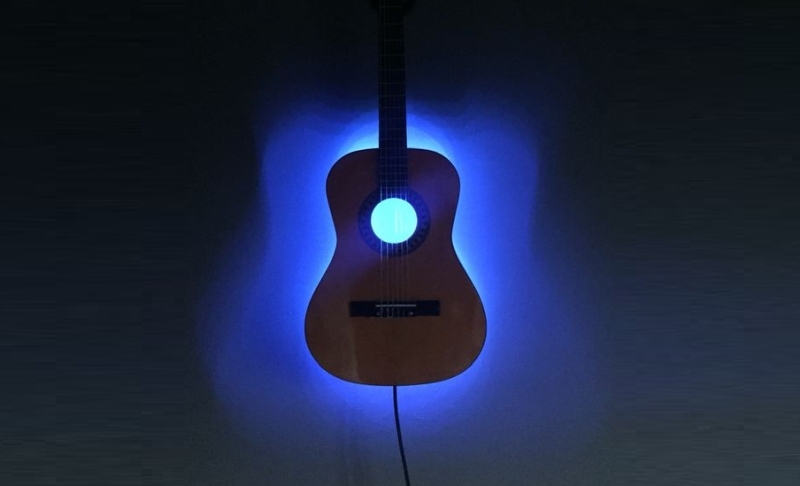 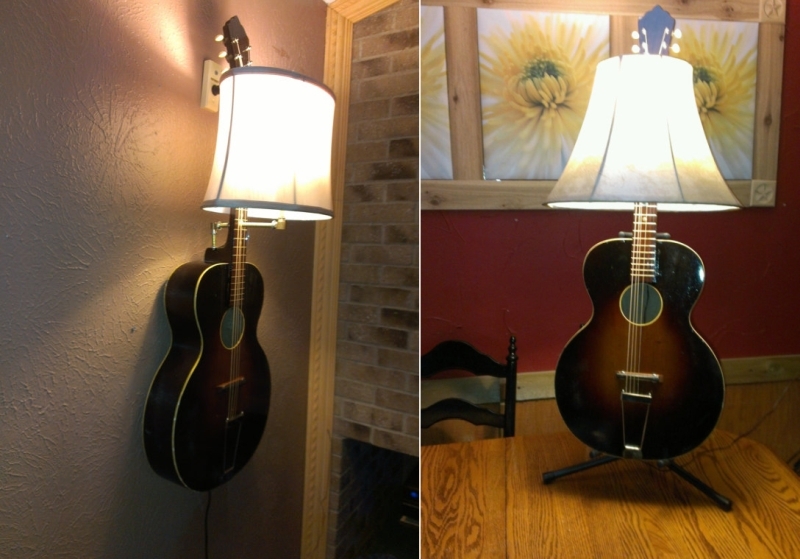 #10 Display your passion for music by transforming old and torn guitars into beautiful lamps. 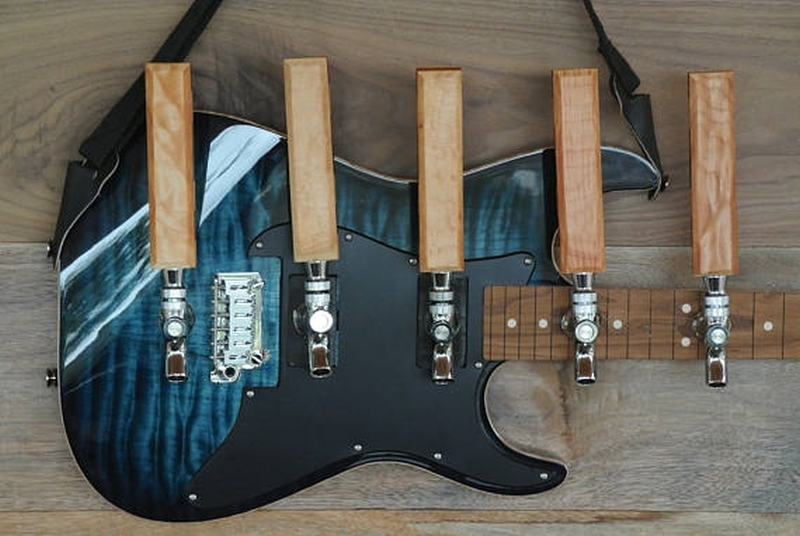 Give’em a look that’ll make eveyone go crazy! 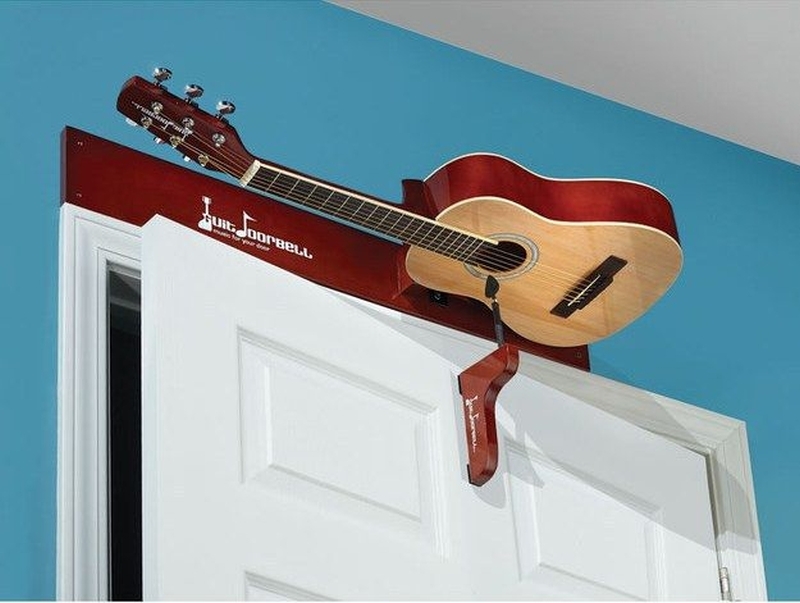 #11 Guitar doorbell is entirely a new take on doorbell designs. 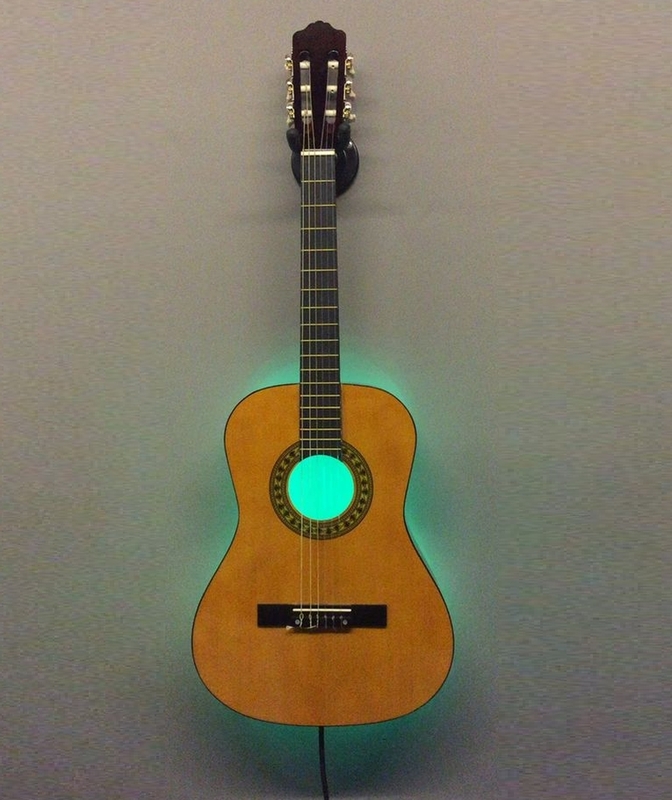 With this amazing doorbell, you can open your door to the visitors in a musical way. 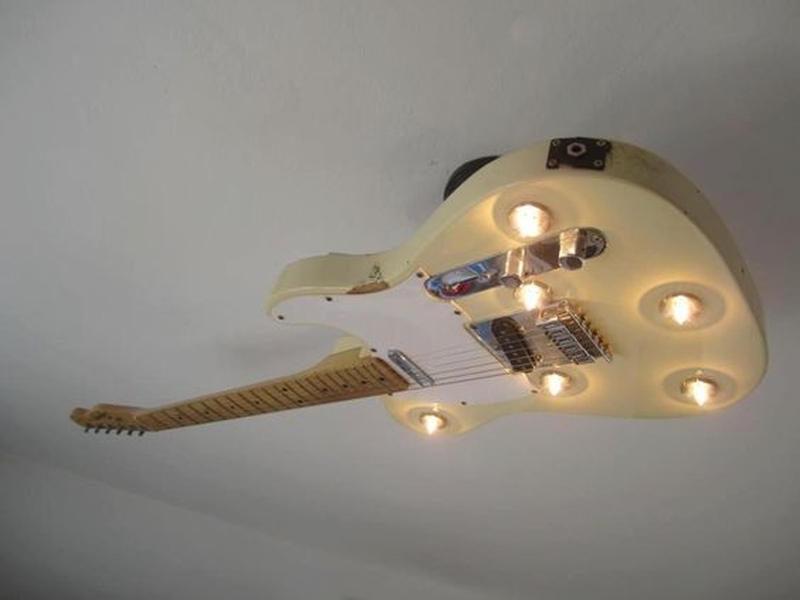 #12 Recycle your old guitar into a beautiful ceiling light. 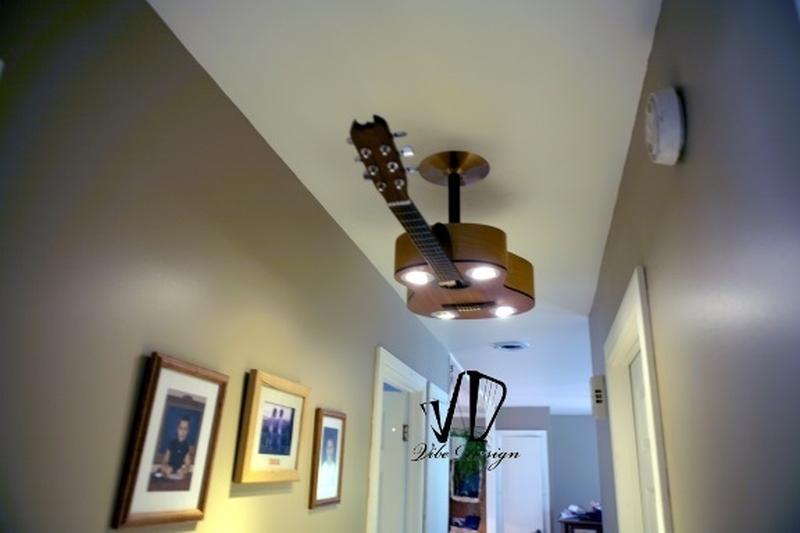 Made by Vibe Designs, this musical light fixture will look spectacular in your home. 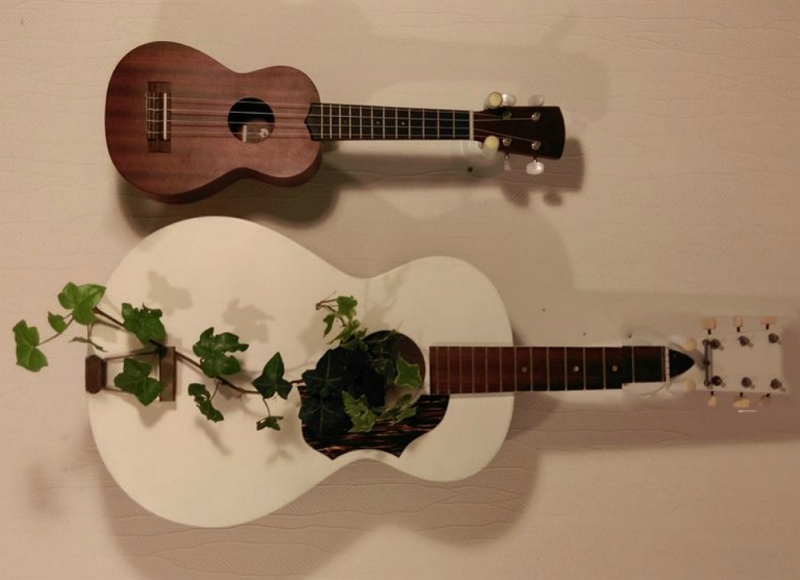 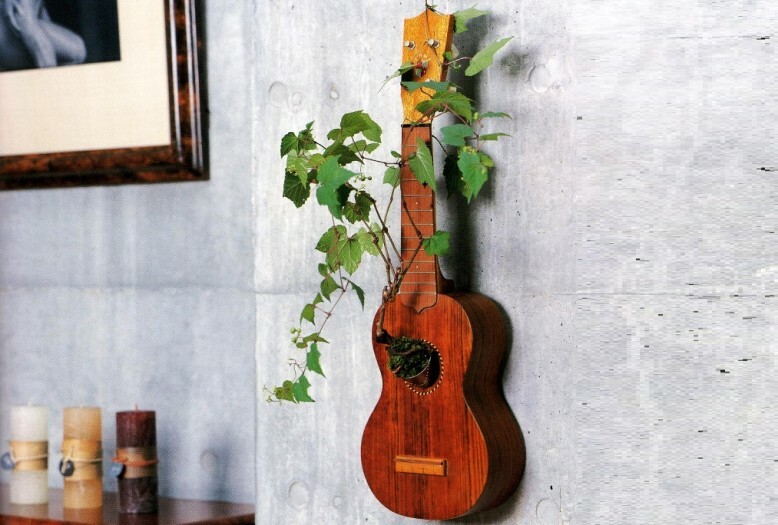 #13 Go green by recycling your old guitar into a lovely hanging or standing planter for your living room. 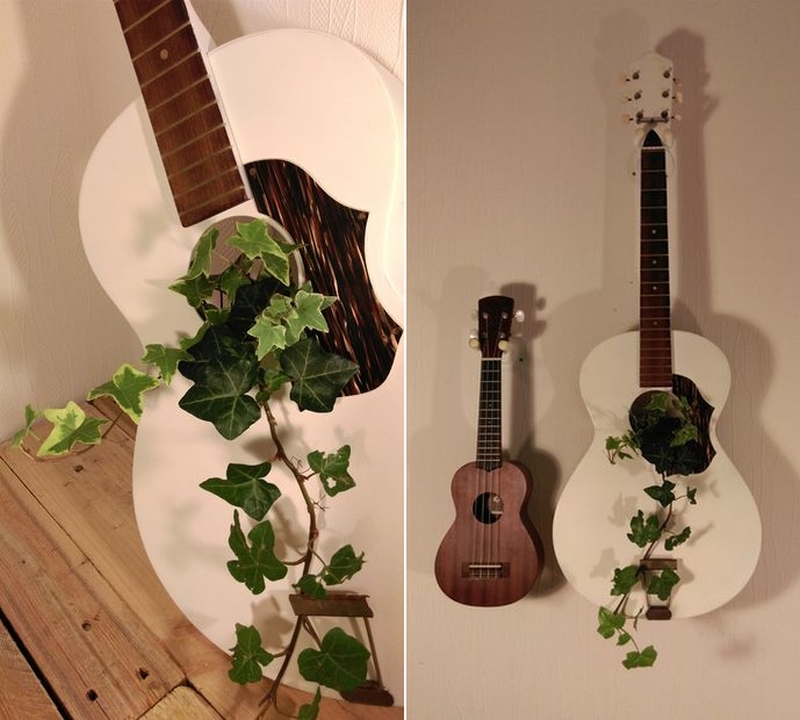 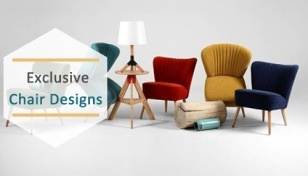 It will look amazing on any wall and bring nature right inside your home in style. 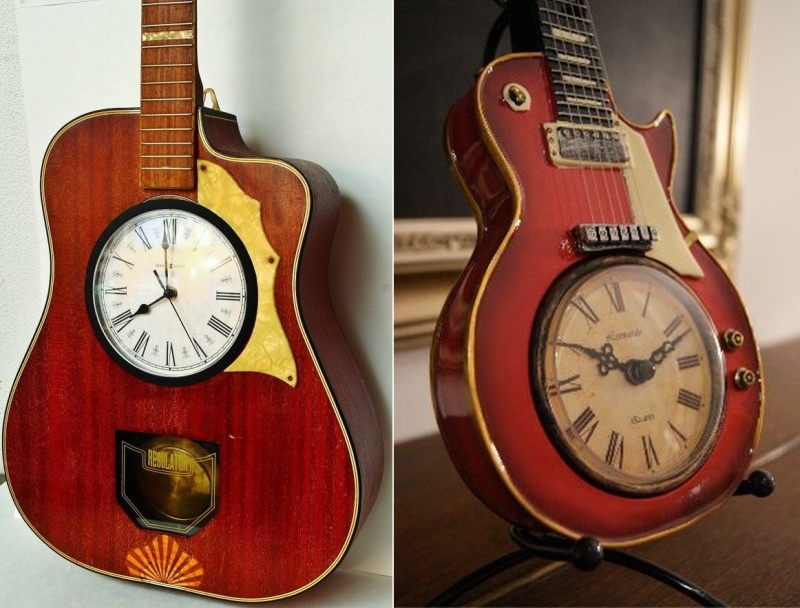 #14 You may have seen many wall clocks in the past, but these recycled guitar clocks are surely going to steal your heart. 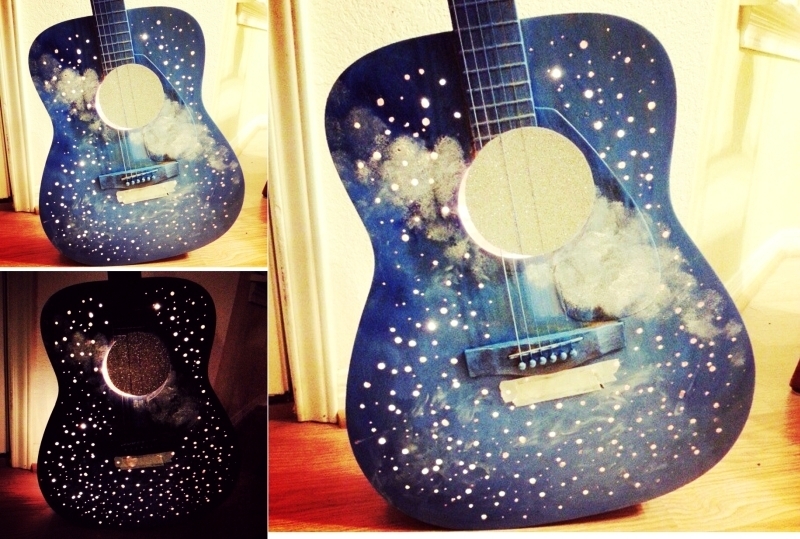 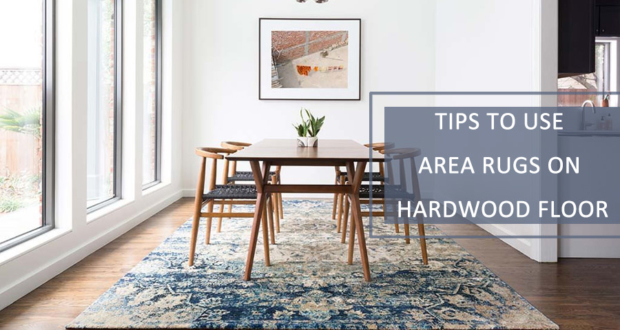 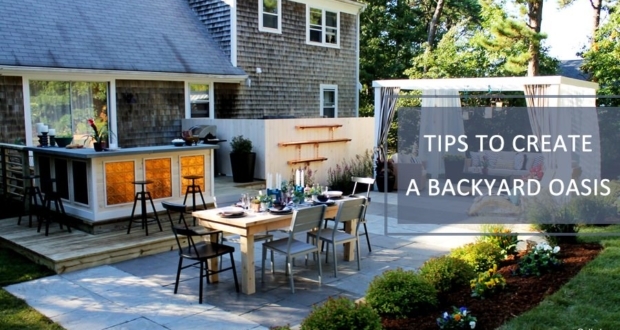 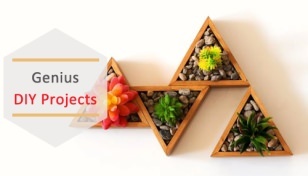 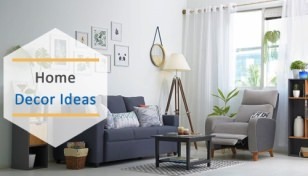 You just need some creativity and DIY skills to put it together. 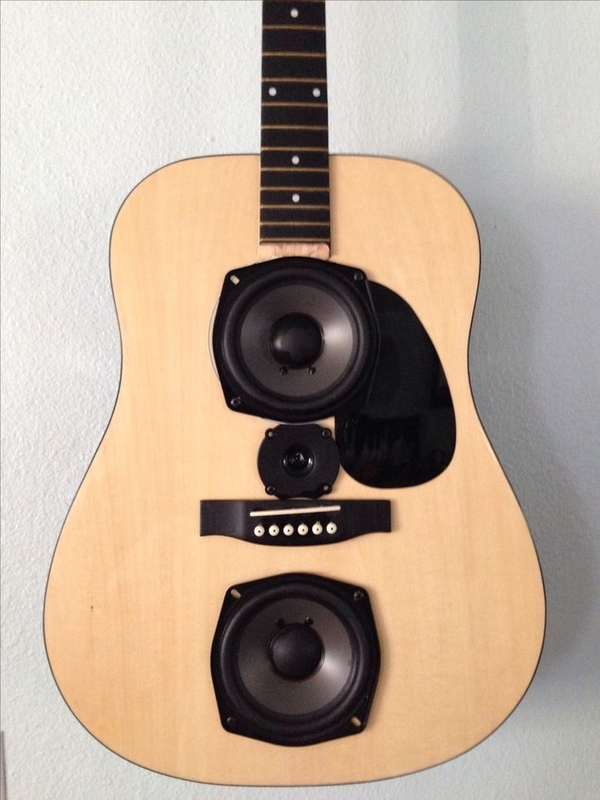 #15 Guitar speaker – Daniel McGregor has made awesome speakers with old, broken guitars. 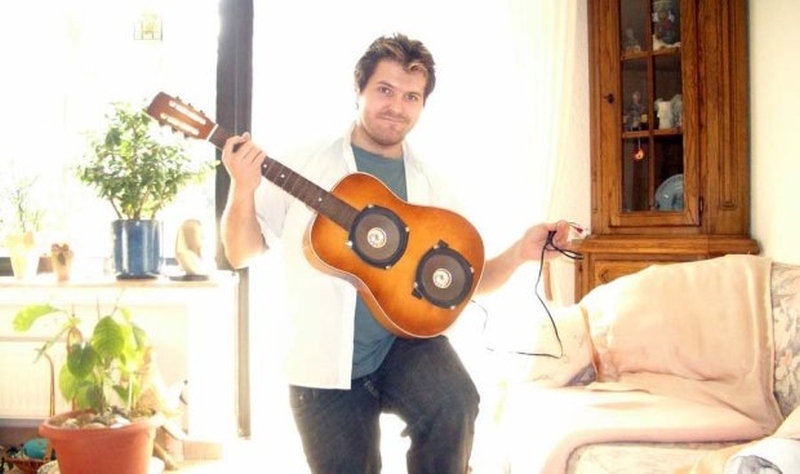 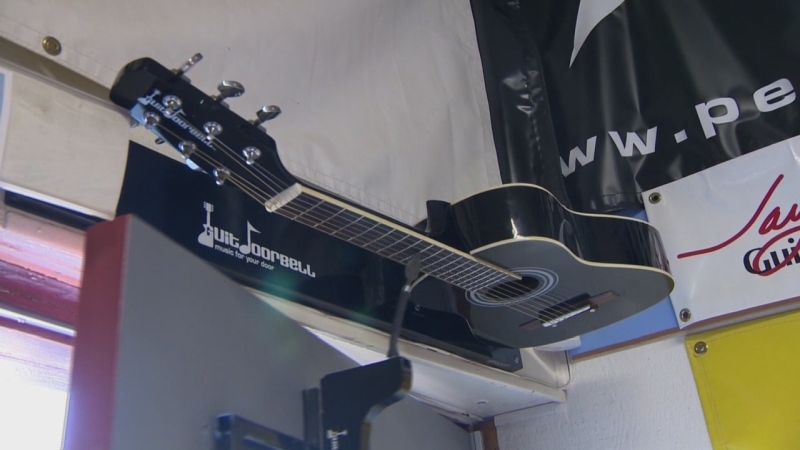 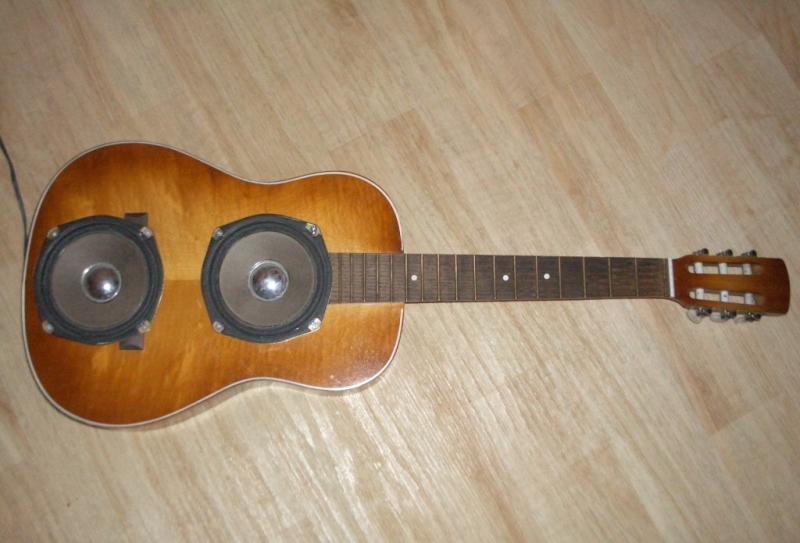 He got the idea of repurposing old guitars while throwing a broken boom box in the trash. 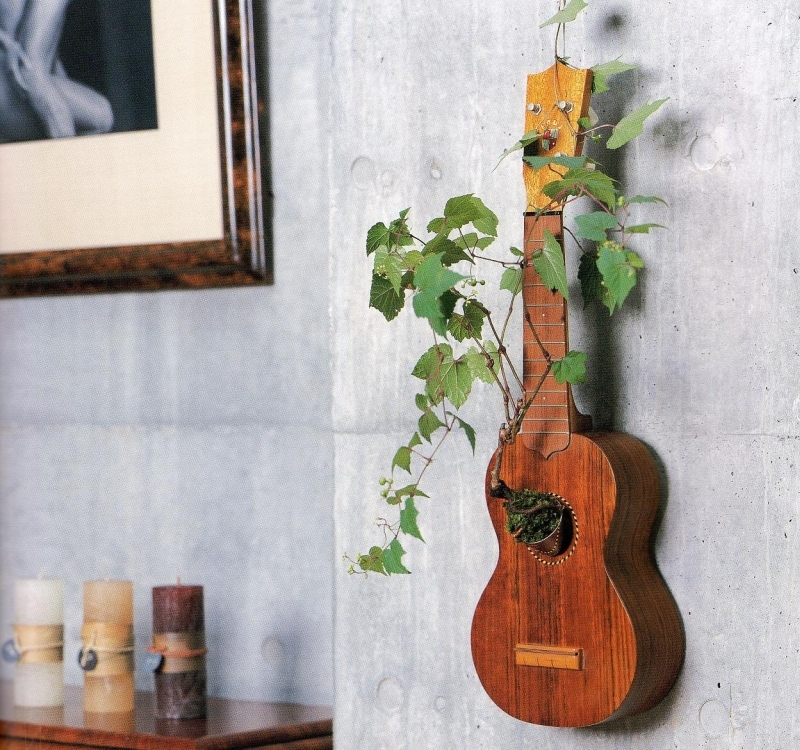 #16 Kitchen garden is a special thing for your home. 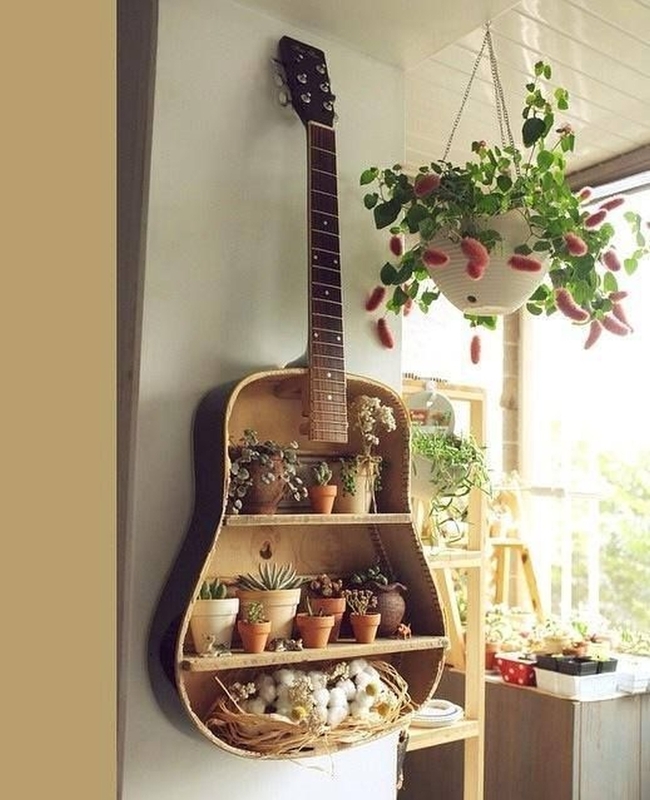 Make it more special with a recycled guitar pot stand which displays all the herbs and vegies you grow under the roof.